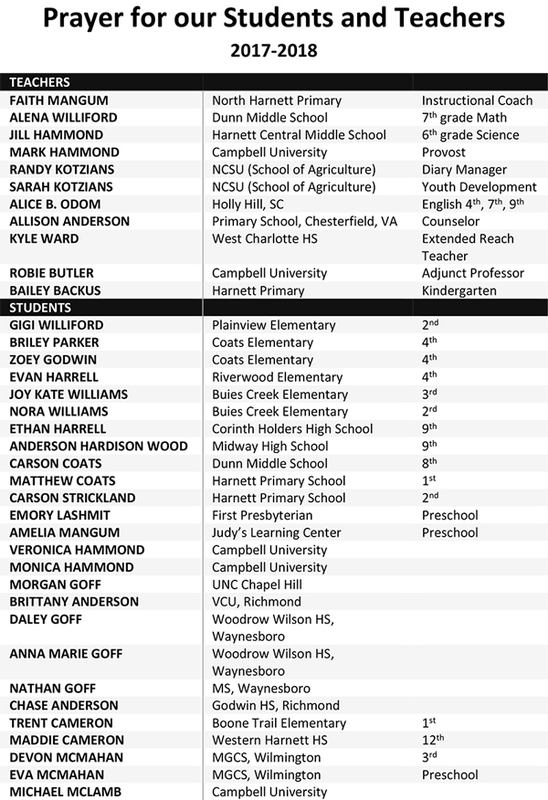 Below, you will find an updated prayer list for the students and teachers connected to our church family. Please hold onto this list throughout the school year and remember our teachers and students. Dear God, the creator of Wisdom, teach us all! May we remember that you are our guide and guardian. 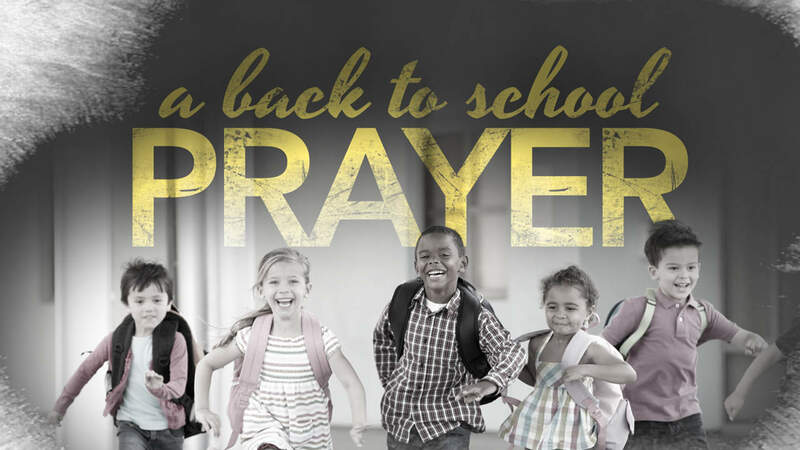 Lord, as the new school year begins, be with our teachers and students. Protect them, encourage them. Provide people to cross their paths that will encourage, love, and support them. May each child and teacher be a witness to your great love through one another. Great teacher, you have passed on your Wisdom and great love through the Holy Scriptures and beautiful stories of faith. Be with our teachers as they also pass on their wisdom of the subjects they teach. Even as they teach, may they continue to learn. May they know of your love and may they feel encouraged each day. On the days that are discouraging, provide them a sense of humor. Share your patience them. Creator, be with the students as they learn and create. Provide the resources they need in order to learn. Help them to trust their teachers and mentors. May they feel loved and safe. Give them good friends so they can learn and explore your fascinating world together. On days that are frustrating and in areas that are hard to understand, brighten their day with a smile and give them a song to sing. In this school year, may your presence be known each day! May it be so…Amen! Saturday, September 9–7:30PM Movie Night featuring Disney/Pixar’s Cars and ice cream! !